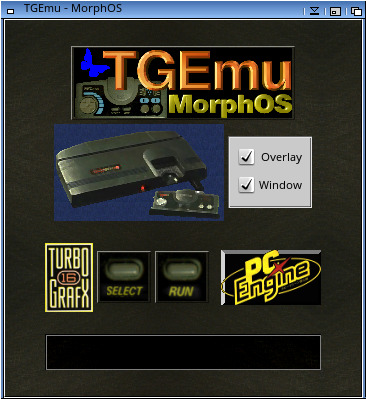 Description: A PCE/Turbografx emulator by Kelly Samel. good speed, sound support and reasonable compatibility. with Nostalgia v2.2 or later. TGemu can be controlled with a keyboard or gamepad. TG16/PCE game images can be copied to the "roms/"
- Changed icon to "Emerald Games"
- fixed rtype and other games with wide displays to show without "garbage"